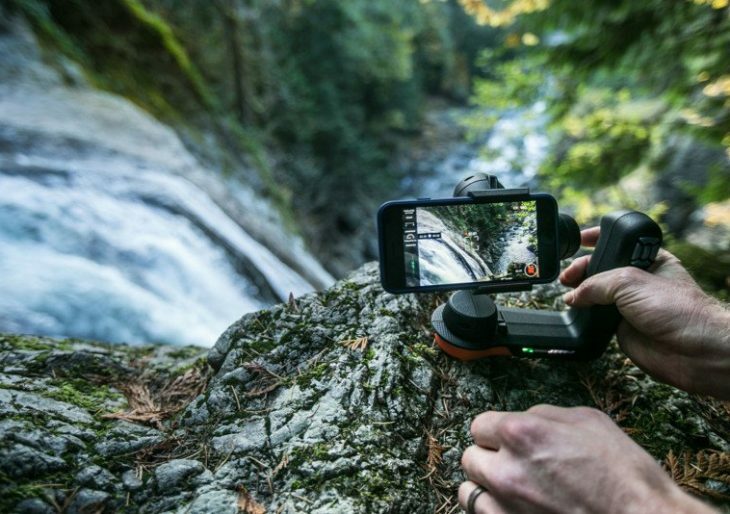 Camera gear company Freefly usually manufactures products for the cinematographers, but the brand is branching out somewhat: they’ve introduced a specialized gimbal for smartphone photographers and videographers. The new Freefly Movi is ideal for smartphone creatives looking to capture beautiful images and videos on the go, and take advantage of the photographic and videographic potential in higher end ‘phones, especially the iPhone. Using the Freefly Movi, serious shutterbugs and budding filmmakers are better able to capture striking and imaginative shots. Thanks to a backward L-shaped handle, the user can easily tilt or pan the iPhone with the simple touch of a button. Because the device does more than keep the camera steady, Movi is being referred to as a cinema robot. The unit only weighs 600 grams, making it an easy carry. The device is equipped with advanced stabilization features, in addition to six different shooting modes. For example, users can engage the “Majestic” mode for a traditional single operator experience, or opt for the “Movilapse” mode which slows movement of the gimbal down by 10 times. Freefly’s Movi is available for $299 and is equipped to handle smartphones up to 3.5 inches wide.